An Italian Art Glass fish sculpture by Alfredo Barbini. 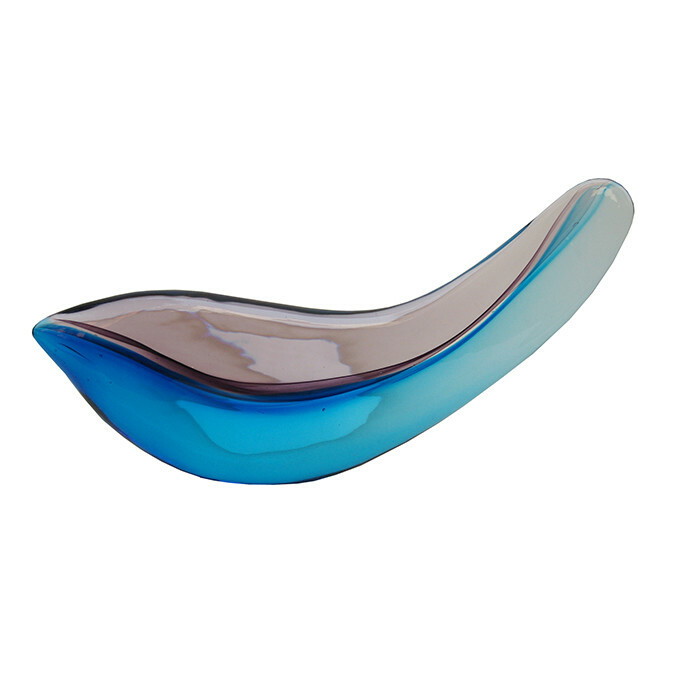 Murano Glass in hues of lanender and aqua blue. Dimensions: H:8¼ W:16 D:2 Inches.